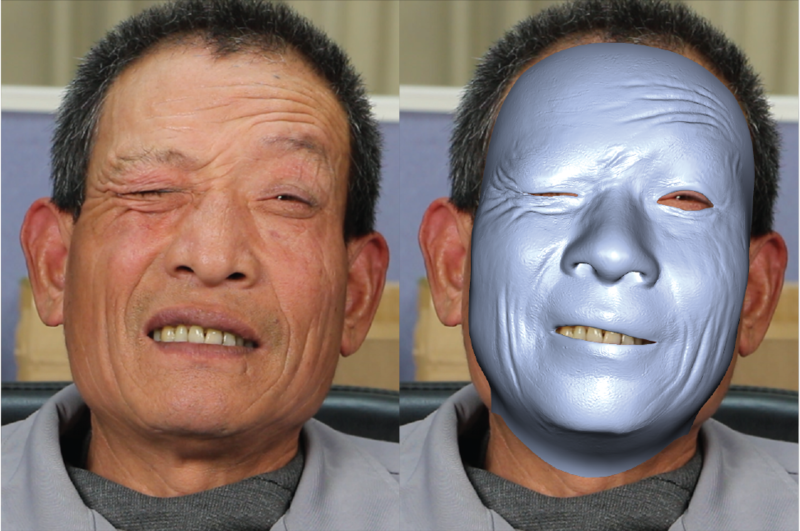 We present the first real-time high-fidelity facial capture method. We present the first real-time high-fidelity facial capture method. The core idea is to enhance a global real-time face tracker, which provides a low-resolution face mesh, with local regressors that add in medium-scale details, such as expression wrinkles. Our main observation is that although wrinkles appear in different scales and at different locations on the face, they are locally very self-similar, and their visual appearance is a direct consequence of their local shape. We, therefore, train local regressors from high-resolution capture data in order to predict the local geometry from local appearance at runtime. We propose an automatic way to detect and align the local patches required to train the regressors and run them efficiently in real-time. Our formulation is particularly designed to enhance the low-resolution global tracker with exactly the missing expression frequencies, avoiding superimposing spatial frequencies in the result. Our system is generic and can be applied to any real-time tracker that uses a global prior, e.g. blend-shapes. Once trained, our online capture approach can be applied to any new user without additional training, resulting in high-fidelity facial performance reconstruction with person-specific wrinkle details from a monocular video camera in real-time. The documents contained in these directories are included by the contributing authors as a means to ensure timely dissemination of scholarly and technical work on a non-commercial basis. Copyright and all rights therein are maintained by the authors or by other copyright holders, notwithstanding that they have offered their works here electronically. It is understood that all persons copying this information will adhere to the terms and constraints invoked by each author’s copyright. These works may not be reposted without the explicit permission of the copyright holder.